Hi everyone. 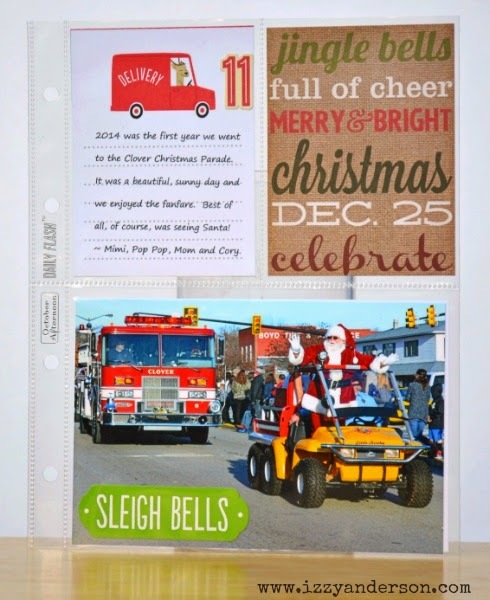 Today, I have more pages from my December Daily album. I am really enjoying this project. 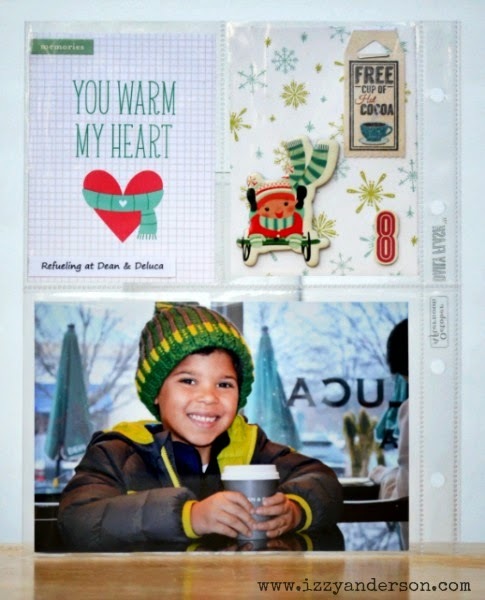 I am using a mix of pocket pages and 6 x 8 pages. Here I used a 4 x 6 photo and two 3 x 4 cards. It's really quick and easy to put pages like these together. Love that! 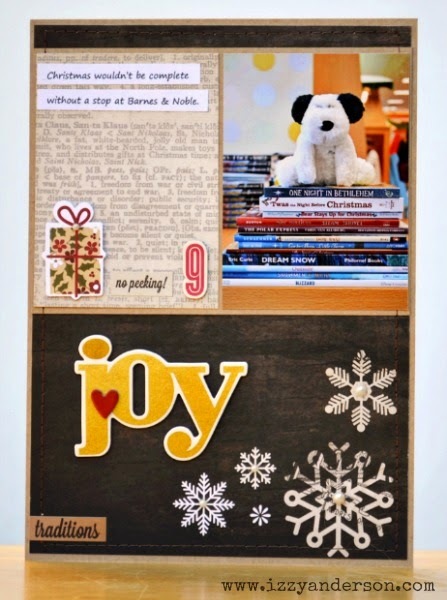 I used the Cozy Christmas collection from Simple Stories for this page about our visit to Barnes & Noble. We always knock out part of our shopping there! 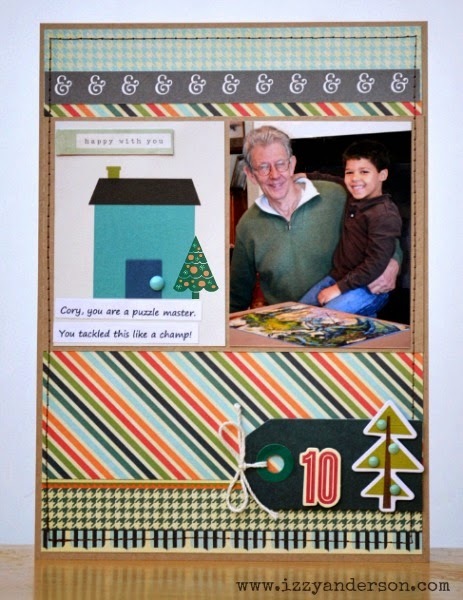 Day 10 is about every day life: putting together a puzzle with Pop Pop. I used Be Different from Fancy Pants Designs for this page. Another pocket page. This one documents watching the local Christmas parade. We don't do something holiday-oriented every day, so those days are the perfect time to to catch ordinary life. 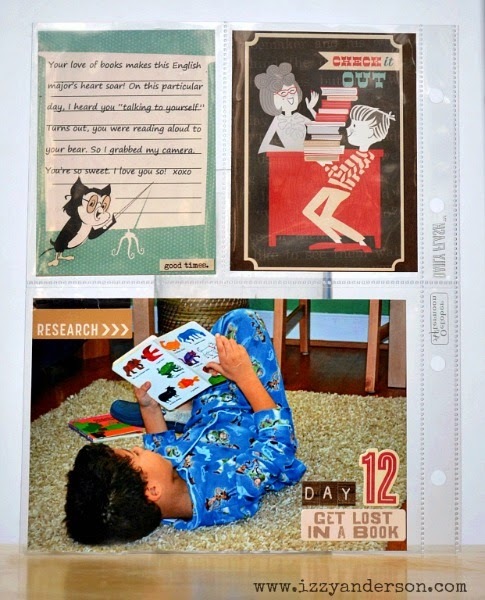 Here, I used the Public Library collection from October Afternoon to document my son's love of books and reading. That's it for today. Only a few days behind in my December Daily. Not too bad for the busy holiday season! Wishing you a wonderful week! Absolutely love it. Those pages are precious. I like the 6" x 8" format. It's something I've never tried, but it looks really doable for a daily project. Love love love love these pages! Your photos are fabulous!!!!!!!! Look at all of these wonderful memories and pages! I love the format you've been using, Izzy. Love this Izzy!! Good memories!